Application performance has a major impact on the overall quality and popularity, especially in cases where organizations are dependent on IT for major business activities. Clients have a clear expectation when it comes to quality and have become more demanding. Every client looks for a reliable and fast application; performance testing ensures that all applications are performing optimally and are available and speedy. The need for eliminating bottlenecks has become greater in this competitive business world. Performance testing ensures that bottlenecks are identified and eliminated before the application goes into the production stage. Breach in service level agreement conditions can be prevented through performance testing of applications. 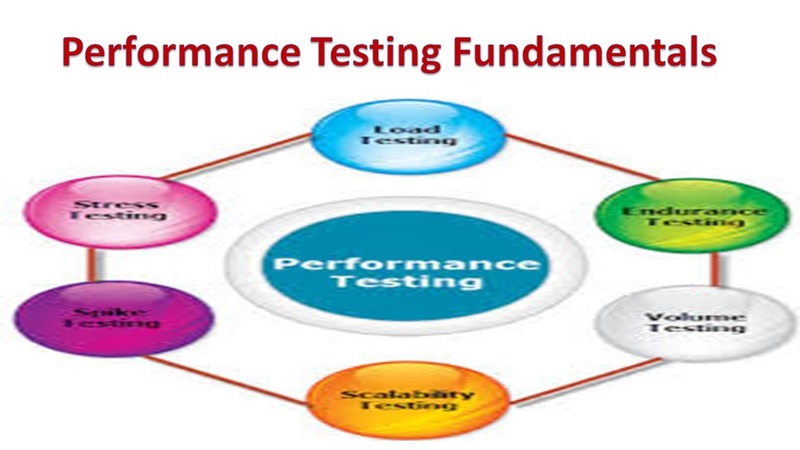 Performance tests are technical investigations to validate the response, speed, scalability, and/or stability characteristics of the product under test. It verifies application behavior under normal and peak load conditions. Load testing is conducted to verify that our application can meet our desired performance objectives; these performance objectives are often specified in a service level agreement (SLA). Load tests enable us to measure response times, throughput rates, and resource-utilization levels, and to identify our application’s breaking point, assuming that the breaking point occurs below the peak load condition. It is a subset of Load testing, used to validate a system’s performance under continues load. Endurance testing calculates Mean Time Between Failure (MTBF), Mean Time To Failure (MTTF), and similar metrics. It validates an application’s behavior when it is pushed beyond normal or peak load conditions. Volume testing is done against the efficiency of the application. Huge amount of data is processed through the application (which is being tested) in order to check the extreme limitations of the system. LoadRunner HP Performance test tool used for executing large numbers of tests (or a large number or virtual users) concurrently. RPT (Rational Performance Tester) IBM Used for executing large volume performance tests to measure system response time for server based applications. OpenSTA Open Source Open source web load/stress testing application. HTTP Test Tool Open Source Open source scribable http/icap/ntlm test tool suite which also can do distributed load test. Visual Studio Microsoft Visual Studio Ultimate edition includes a load test tool which enables a developer to execute a variety of tests. Load Impact Cloud based large scale performance testing SaaS tool primarily used for executing large volume performance tests. LoadUI SmartBear Open source and cross-platform load testing tool, targeted mainly at web services. WebLoad Radview WebLOAD Professional is RadView’s software for performance testing of internet applications. * Helps to predict how the system will function in the real world. * It validates the System’s behavior under high volume of data. * It validates the system’s behavior under peak load. * It can’t estimate real world issues. * Real world issues are dynamic, so handling all types of performance issues is difficult.